Elizabeth And Husband William Asher. 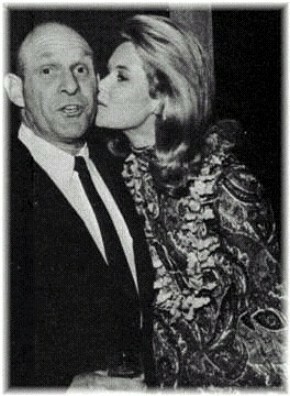 Elizabeth Montgomery with 3rd husband and Bewitched director, William Asher in 1966.. Wallpaper and background images in the Bewitched club tagged: bewitched elizabeth montgomery william asher 1960s tv series photo. This Bewitched photo might contain کاروبار سوٹ, بزنس سوٹ, پورٹریٹ, آرچر, closeup, تصویر, and ہیڈشوٹ. They had been married for one year. Elizabeth and William met on the set of the movie Johnny Cool (he was the director) in 1963 and married in October of that year. They were looking for a project that could do together when Bewitched came along. That's pretty cool. =) Thanks for the info, Cammie. No, probs, always happy to share my Bewitched trivia in regards to hooking up or anuthing else,lol!